California boating laws require recreational human powered vessels (canoes, kayaks, stand-up paddleboards and rafts) to carry the safety equipment listed on this fact sheet. Before you set out on the water always make sure this required safety equipment is ready and in working order. The U.S. Coast Guard Auxiliary and the U.S. Power Squadrons offer complimentary vessel safety checks including a check for required equipment. For more information about safety equipment and vessel safety checks, please order a free copy of the ABCs of California Boating. All human-powered vessels, regardless of length, must carry a U.S. Coast Guard-approved life jacket in serviceable condition and of a type and size appropriate for the intended wearer, the conditions and the boating activity. The life jackets must be within easy reach for each person on board. Under California state law, every child under 13 years of age must wear a U.S. Coast Guard-approved life jacket while the boat is underway. An electric flashlight or other bright light. Lighted lantern showing a white light which shall be exhibited in sufficient time to prevent collision. A whistle, bell or other means of making an efficient sound signal. 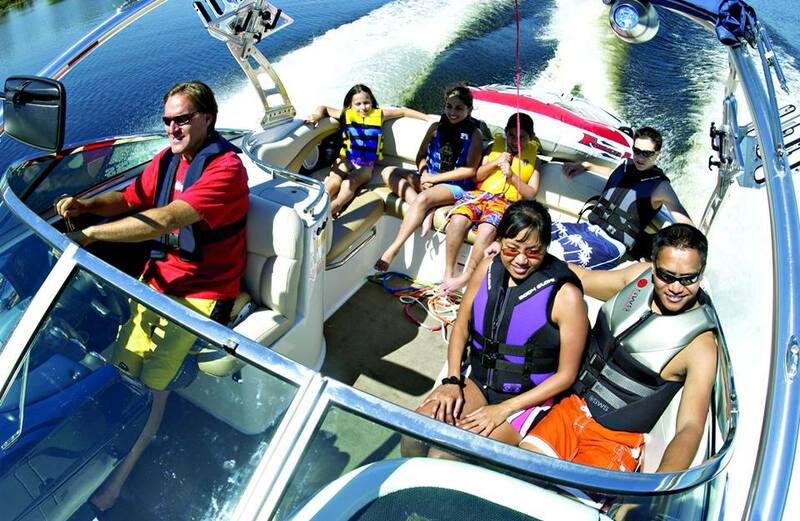 California State Parks Division of Boating and Waterways recommends that all boaters take a boating safety course. Visit www.BoatCalifornia.com for courses in your area.